MA A+U 2015-16 are very pleased to announce the following students have graduated successfully from the course. The Graduation Ceremony will take place at the Whitworth Hall, University of Manchester in December 2016 and we wish all our new graduands every success in their future careers. 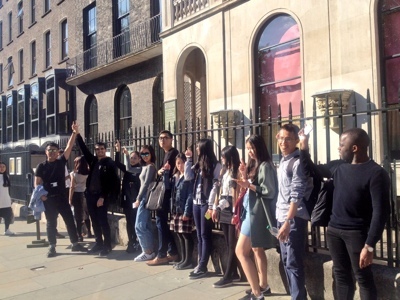 The cohort are pictured below waiting for their visit to the Soane Museum, London during the first week of their studies in 2015.